A little fake relationship never hurt anyone. . . The Wedding Date by Kelly Eadon was a fast and flirty little book. I enjoyed the personalities of both Kate and James. I love the whole nerdy guy turned hunk thing. It added a little extra cuteness to James' character. His family stresses him out, but I think they are bunches of fun. Count me in at an Abell get together any day. I think Kate feels the same way. There were cute and funny moments, and there were more serious moments within the story, but through all the moments it was very hard to put this book down. I'm not sure if this will be a series, but if it is, I have to read the other books too! 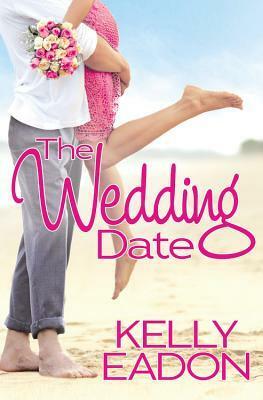 The ARC of The Wedding Date by Kelly Eadon was kindly provided to me by the publisher through Net Galley for review. The opinions are my own. She gave her hair one more pass with the brush and glanced in the mirror. This isn’t a date. So why did it matter how she looked? Her heart did a little tap dance. It mattered because James would arrive any minute to pick her up for dinner. The doorbell rang and Wally launched into his happy dance. His back half flopped from side to side, and his giant fluffy tail whipped through the air. “Sit.” She pointed a finger at him and he immediately dropped his rear. That was another benefit to adopting an adult dog. They came fully trained. She twisted the doorknob and pulled it open. The sight of him tied her in knots. He was gorgeous in his khakis and a button-down shirt with the sleeves rolled up. A day’s worth of stubble dotted his chin and his gray eyes drank her in. The room spun for a second. Without thinking she stepped forward to inhale his masculine, sandalwood-tinged scent and gripped his arm for support. She stared at him and fumbled for something to say. She could have sworn his lips were drawing her in, daring her to taste them. Her stomach lurched and she dropped her eyes to the ground. Not a date. She took a step back, then spun to grab her purse. “Is this your dog?” The low rumble of his voice made her pulse skip. People loved Wally. He was big enough to look intimidating but worked himself into a state of pure bliss every time he encountered a person. The only threat with Wally was the possibility of being accidentally whipped by his wagging tail. “What kind of dog is he?” James knelt and Wally rested his head on James’s shoulder. “Ummm, big fluffy black dog?” People asked all the time, and it was the best answer she’d been able to come up with. “There’s a rescue in New Jersey called Last Chance Resort. They pull dogs from high-kill shelters in the South and transport them for adoption. I saw his face on their Facebook page and fell head over heels in love. They helped me adopt him and now he’s my baby.” She leaned over and rubbed Wally’s soft ears. He’d come closer to running out of time than she liked to think about. Kate’s heart skipped a beat. Few people understood her bond with Wally. In the last two years he’d become her best friend. Wally understood her and he’d gotten her through a tough period. It wasn’t the same as having a child, by any stretch, but Wally was her family. And Kate had very little family. For a second she was lost in his eyes. They were piercing gray, but when he joked and smiled, they appeared lighter. Then he turned to the car and she came crashing back down to earth. Get a grip. He led her to the Range Rover parked on her street, opened the passenger door, and held out his hand to help her in. The warmth of his skin on hers was enough to make her heart race. How was she supposed to get through the next week without melting into a puddle of desire? 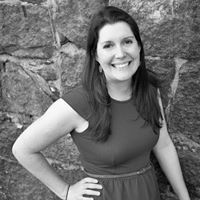 Kelly Eadon is a romance writer living in Richmond, Virginia with her husband and a house full of rescue animals, aka “the kraken”. She swears like a sailor and says whatever pops into her head. In order to counteract her big mouth, she wears high heels whenever possible. In her spare time she spins, kick boxes and attempts to renovate her farmhouse. She hates sanding drywall, loves to cook, drinks lots of wine, gets scary competitive at trivia, and enjoys time spent exploring with her rescued beagle mixes. To learn more about Kelly Eadon and her books, visit her website.You can also find her on Goodreads and Twitter. "Fast and flirty" works for me. Thanks so much for reading and reviewing!!! And for using my favorite teaser photo : ) Meghan Ryder and I have a Facebook release party tomorrow, so feel free to stop by! We're giving away Kindle Fire. Def need to get this!